The Multi-state Professional Responsibility Exam, or “ethics exam” (MRPE) is one of three exams required in order to practice law in an American state (more on that here). Having just taken the exam, here are my thoughts as an English-trained solicitor currently practicing in London. 🌟 UPDATE: I passed the exam! I exceeded the score I needed for California. For more information on how the United States and English legal systems compare, read my post “Lawyering in America and England”. The MPRE tests a prospective lawyer’s understanding of professional ethics regulation in the United States. The questions are based on the Model Rules of Professional Conduct (MRPC). The MPRE is a 60-item (50 scored questions and 10 non-scored questions), two-hour multiple-choice examination administered three times each year at established test centers across the country. You must pass the MPRE before you can be admitted to practice in the United States, but you can take it anytime after completing their first year of law school (including after sitting the bar exam itself). I chose to sit the exam in New York City because: 1) it’s easiest to get to from London and 2) my husband works for a NY headquartered company, so he was able to meet up with colleagues while we were there. My score will be sent to my jurisdiction of choice, which happens to be California. 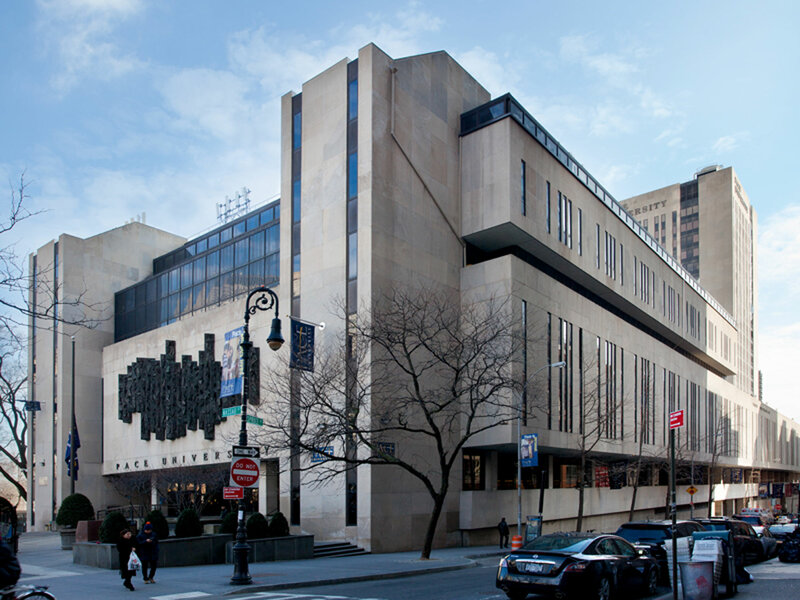 I took the exam at Pace University in Manhattan. My only complaint was that the individual desks were really tiny, but other than that, it was a good test day experience. On the morning of the exam, I woke up at about 5AM: this was due to still being on “London time” and somewhat jet-lagged! I bought some coffee and brought it back to the hotel room, and spent about an hour doing some last minute cursory revision. At 8AM, I walked the three blocks to the testing centre at Pace University. The reporting time was at 8:15, and there was already a massive queue of students and prospective lawyers outside. We were held in the queue for about 30 minutes, and I enjoyed chatting to a few people about our various career stages. I even spoke to a young guy who was resitting the exam after failing it previously. It’s important to maintain some perspective: failing isn’t the end of the world! At 8:45AM we began to stream into the building, where people were turned away for having backpacks (the rules clearly state NO BAGS). At one point a test invigilator said, “if you have cellphones, don’t tell me about them! Just make sure they’re turned off and hidden away!” Phones, like bags, are also forbidden – but I suppose there was a slightly more lenient approach to having them on this occasion. We then went through the process of having our admission tickets checked against our ID, and sent into our testing rooms. At Pace, we sat in small classrooms with about 20 people per room: there wasn’t any assigned seating, it was simply done on a first-come, first-seated basis. By 9AM, everyone in my room was seated and the door was closed. The invigilator read instructions about the exam, and we had a few minutes to fill out the various bubbles with our names and other bits of information. At 9:10AM we were permitted to break open the seal of our papers and begin. I probably invested about 50 hours in studying for the MPRE over the course of two months. That time also includes “passive studying,” such as listening to MPRE lectures while on the tube, for example. I first familiarised myself with the subject matter breakdown of the exam itself, available here on the NCBE website. I listened to and read the BarMax lectures, which are free for the MPRE. I did a lot of practice questions, using BarMax as well as AmeriBar. I read through the MRPCs on the ABA website. I identified which questions were tripping me up and what Rule they related to. I then read the explanatory comments for those particular rules, also available on the ABA website. Do focus your energies on practice questions when studying! This exam is not about understanding the theory or philosophy of professional ethics. You will not be writing essays about the merits of client confidentiality! Do review the commentary for rules that you want more clarity on. The commentary is far less vague than the rules, and often includes practical examples. Do not underestimate this exam. Especially as a foreign lawyer, I found some of the rules a bit counter intuitive. Don’t be tempted to cram the night before: I strongly recommend dedicating 20 hours to studying for this exam if you’re an American law student, and more if you’re a foreign lawyer. Do feel free to contact LSAC ahead of time at MPREinfo@LSAC.org if you have questions, including questions about test center assignments. I originally registered to take the exam in Seattle but then changed my mind. LSAC staff were very helpful and the change only took one email to initiate. Do not bother trying to memorise the rules! Do not worry about drinking too much coffee on the morning of the exam. You will have plenty of opportunities to use the toilet – at least I did at my centre! Do manage your time. You will have two minutes per question. Some questions only took me 20 seconds to answer. My advice? Go through the exam answering everything you can on a first pass. If you come across anything that requires a bit of contemplation, write the question number down on the test booklet, and return to it later. When you go through the exam for a second time, cross off the difficult questions from your earlier list. Do not be afraid to guess, if for whatever reason you can’t come up with the answer. There are no penalties for wrong answers, so just give it your best shot! I’ve decided to sit the California bar next year! I thought it might be a good idea to keep a written record of my experiences, thoughts, predictions, and study strategy: these posts will be marked by the “California Bar Exam” category tag. Why become dual-qualified? And why California? Although I’ve lived in London for nearly seven years and am licensed to practice law in England, I’m still an American citizen. I earned my Bachelors’ degree in the USA, and after studying law and politics fully intended to go to law school in the States. My original plans to spend one year in London to do a Masters degree changed when I met my now-husband! It consider it something special to be qualified to practice law in your “home” jurisdiction. The American Constitution is very much a part of my professional and personal DNA: as I’ve become more and more involved in English and European law (especially in matters concerning media, expression, and privacy) the more interested I am in American jurisprudence. Maybe it’s the academic in me, but I’m genuinely passionate and curious about legal theory and the practice of law. I also think being dual-qualified will make me a better lawyer, not least because the majority of my clients have some sort of international aspects which routinely touch on US law. Currently, only a few states allow foreign-qualified lawyers to bypass American law school and sit the bar as “attorney applicants” – New York and California are two of the most popular. For boring administrative reasons* I’m not eligible to sit the bar in New York without doing an LL.M. in the States. California on the other hand only cares about the fact that I’m currently a lawyer in good standing in my home jurisdiction. So California it is! Even if I was eligible to sit the NY bar, I do honestly think that I’d prefer to do it in California. My practice is focused on media, internet companies, telecoms, creative content, defamation, publicity, and privacy: so many interesting cases on those matters come out of California. Furthermore, I come across contracts subject to Californian law on a weekly basis. It would be great to be able to advise on those contracts, and not need to defer to US counsel! Plus, as a girl originally from the West Coast of the US, I’ve always believed known West Coast, Best Coast. 1. The Multi-state Professional Responsibility Exam, or “ethics exam” (MRPE). This exam can be taken in any one of 300 test centers around the USA, and is offered three times each year. I’m taking the exam in November, in New York City. My test results will be “uploaded” to California. 2. The California Bar Exam. Day 1 consists of five separate one-hour essays on a variety of legal topics, and one 90-minute practice test in which candidates are expected to work through a series of documents and produce some sort of memorandum or client letter. I’m still trying to figure out which points of California law specifically will be testable. 3. The Multi-State Bar Exam. Day 2 is the MBE, which consists of 200 multiple-choice questions on seven subjects, based upon principles of common law and Article 2 of the Uniform Commercial Code (covering sales of goods). The questions are not broken down into sections and the seven topics are distributed more or less evenly throughout the exam. Candidates receive three hours during the morning session to complete the first 100 questions, and another three hours during the afternoon session to complete the second 100 questions. *Why not New York? According to Section 520.6 of the Rules of the Court of Appeals for the Admission of Attorneys and Counselors at Law, foreign lawyers must satisfy certain requirements to be admitted to the New York bar. In addition to passing the bar exam itself, applicants must have a “qualifying degree” that satisfies the educational requirements to practice law in a foreign country. The normal route in England for aspiring lawyers is to do an undergraduate degree in law: the LL.B. They then do a year of law school (LPC) and two years of clerking (the training contract). For students who don’t do the LL.B (for example. if they do history or chemistry and later decide to go into law) they can do a one-year “conversion” course known as the Graduate Diploma in Law (GDL) before doing the LPC. This was the route I chose, as – like many others – I did not do an undergraduate degree in law. Unfortunately, despite being a qualified solicitor in England, the New York State Bar does not recognise the GDL as being a full “qualifying degree.” I can “cure” this by completing a 2-year LL.M. (a Masters’ degree in law) in the USA, but… nah. That’s not happening.